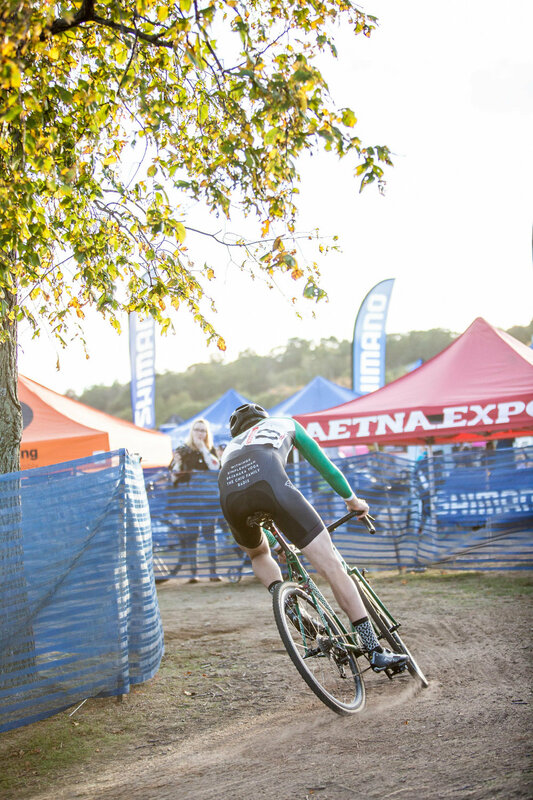 It's a Monday morning in October which means much of the team is sporting a serious cyclocross hangover, this time from a Sunday afternoon in New Jersey at Marty Cross (followed by an obligatory trip for cider donuts). 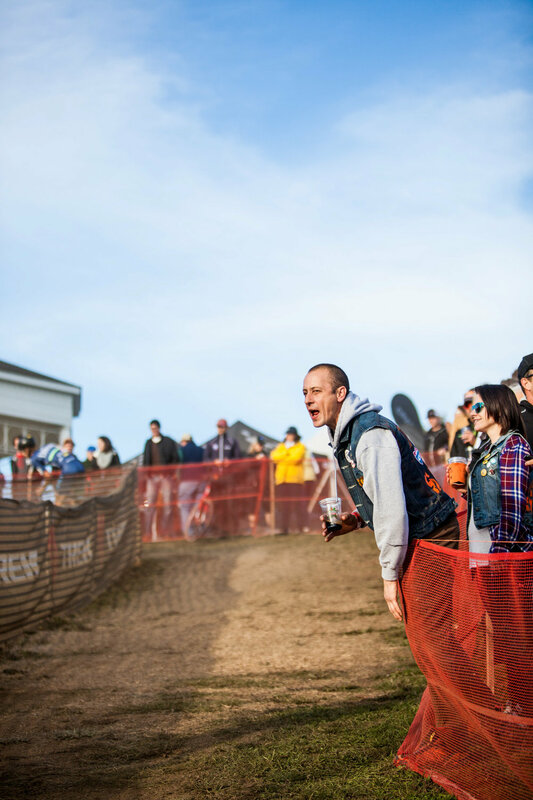 As many who race ‘cross know, New England Cyclocross (NECX) races are where one goes to get their teeth kicked in. 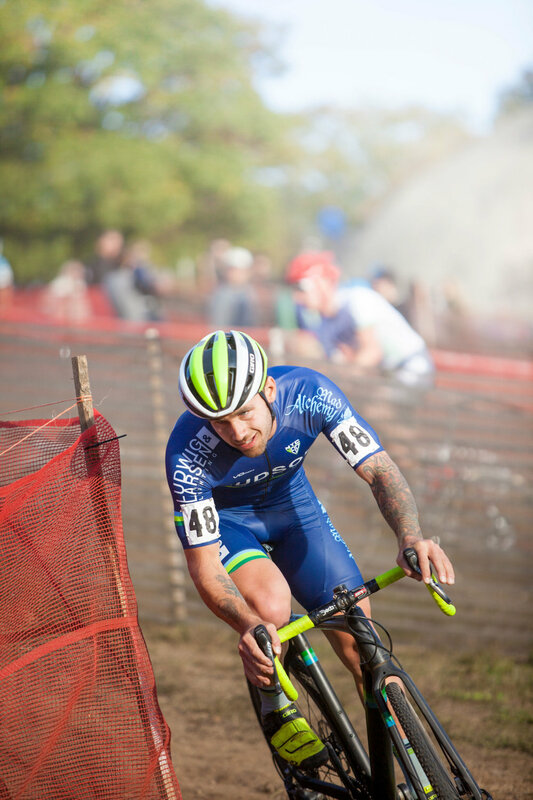 You may think you are good at ‘cross, but racing in New England can be a real baptism by fire and/or wakeup call to those accustomed to their local CX practice and grass crit race. 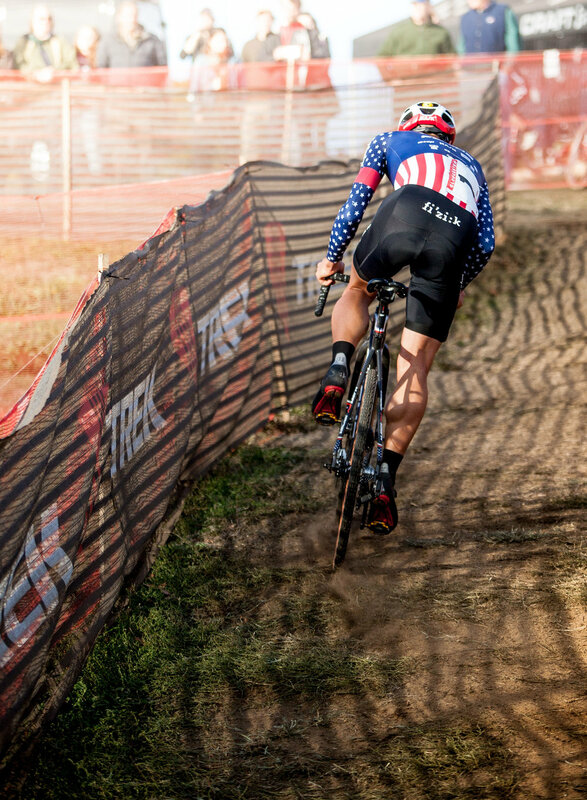 Races like KMC, CSI, NBX, Supercross, and GPCX have it all: strong fields, fast and technical courses, and on any given day, lots of mud or conversely dry, dusty conditions. My training regimen this season has been spotty. Despite my love of all things cyclocross, there are weeks where I feel like sticking to my training plan, which includes one hard run, one hard day on the bike, a day dedicated to skills, and a day for pre-race openers, and weeks where I just feel like drinking beer, eating food, and seeing friends. This is ACTUALLY a step forward from last year where I only touched my bike once a week other than to race. Despite my nearly complete lack of structured training, I’ve enjoyed some decent success in MAC races, mechanicals aside. While Nittany and Charm served as big confidence boosters for me, KMC gave me that good ol’ dose of ‘cross reality: racing in New England is HARD. This was fresh in my mind in the days leading up to GPCX. As is customary in the category 4/5 racer life, Friday evening meant being stuck in traffic heading north meaning a four and a half hour drive takes closer to six and you reach the hotel around 11 pm anxious for you 5:45 am wakeup. Once we were unpacked and coordinated for the morning the lights turned off around midnight. I slept maybe two hours total before the blare of my alarm cut through the dark motel room. I have the tendency to not be hungry in the morning, but I managed to swallow a small cup of yogurt and some oatmeal while putting on my comfy onesie aka the Garneau Thermal Skinsuit. Needless to say, I was very nervous. Saturday morning was cold, which meant a kitted up pre-ride with extra layers that quickly make one way too hot. My first thought while pre-riding the course was “wow this has a hell of a lot of punchy climbing.” The course was technical, but not overly so, and it fast and flowy. I started to feel that I could do this, and my goal of podiuming was within the realm of reality. If I could just ride cleanly and go as hard as I could 30 minutes without blowing up I would be golden. Knowing this I felt calmer especially with my third row call up. The whistle blew and the long uphill start was as to be expected – full gas. I was turning the pedals as hard as I could, but only managed to move up a few spots, and made it through the hole shot somewhere around 15th in the 90 person field. The first lap I hung with the front group, but the punchy climbs fast began to take their toll on my legs. I understood that holding this effort for 30 minutes was not something I had fully prepared for. I picked off a few riders, but soon started going backwards. I was blowing up. I handled all of the technical bits well, but a stupid mistake on the one wet corner of the course on the second lap cost me a few spots, and then in classic Chris fashion, I repeated the mistake on the third lap and it cost me a few more. This put me from about 15th to 22nd when I crossed the line. I sprinted after the three riders in front of me, but I couldn’t catch them no matter the effort. Matt crossed the line shortly after me after having fought and lost his own personal battle against blowing up. I was happy to spend the rest of the day wandering the course, drinking beer, and watching the rest of the squad slug it out in a very tough category 3 race. Once the day of racing was wrapped, the team headed into downtown Gloucester for a pint and some seafood. I was the walking dead at this point, but that wasn’t enough to stop me from wondering “how am I going to do this all over again tomorrow?” However, this thought didn’t last long as I became Rip Van Winkle immediately upon showering and resting my head on my pillow somewhere around 8:30 pm. Well rested, my eyes snapped open at 4 am and the thought returned. Sunday was warmer, but still hard. The course was run backwards with a few notable additions: a rock garden leading into a natural stone “staircase,” a simple sand pit complete with complementary ruts, and a winding grass climb right before the paved uphill finish. “Alright, same as yesterday, but this time hold your effort for the full 30 minutes!” The uphill start was still hard, but not as long as Saturday, and I made it through the hole shot in the top 10. I stayed with a strung out front group until somewhere around lap two where I eased off the gas a bit and lost a few spots. I was overtaken here and there and I regained spots thanks to others’ mishaps, but it wasn’t until lap three when it happened: the wall that one either Kool-Aid Mans through or runs into formed. I was not the Kool-Aid Man. At this point I still saw a top 15 being dangled before me in the form of three riders a few seconds ahead. Despite my efforts, I couldn’t make contact, and insult was added to injury as I was caught and outsprinted for 18th at the line. Like on Saturday, Matt came in shortly after with a similar tale to tell, and Lisa kindly informed us that each was respectively pipped at the line. We both raced a similar race, just a few spots apart. That’s one of the many neat things about ‘cross. The weekend was capped off by a quick trip up to Rockport for some lobster and ice cream before hitting the road bound for New York. It was the perfect end to a classic weekend of New England ‘cross.